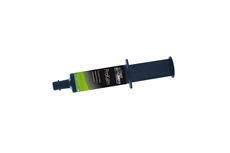 Equest Pramox Syringe is a long lasting and reliable oral gel horse wormer, helping to treat roundworm, tapeworm and bot infestation. It is really the equivalent to Equest and Equitape in one syringe, providing protection in a single dose. Offering a combination wormer via a single dose. Equest Pramox is easy to apply and provides 13 weeks protection. Each dosage contains enough gel to treat a horse weighing 700kg at the recommended dose rate. This Equest gel is ideally administered during autumn and spring seasons. Pramox comes horse wormer comes in a palatable gel formulation and the active moxidectin is licensed to control strains of benzimidazole resistant cyathostomins. This palatable gel turns into liquid in the mouth of the horse. This is in contrast to some pastes which horses can spit out as the gel, once turned to liquid, cannot be spat by the horse. The Equest Pramox syringe performs a dose by dialling to graduations in the horses bodyweight of 25kg to help in getting the dose right. Equest Pramox horse wormer is suitable for use in pregnant mares as well as use ponies horses, and foals that are over six months of age. Equest Pramox will control all three species of tapeworm in horses as well as controlling cyathostomins including those in larval stages as well as other nematodes. ©2018 hadrianequine.co.uk. All Rights Reserved.